Marvin was born and raised in Virginia and went to college at Virginia Commonwealth University. After graduating, he worked as an accountant while pursuing his passion as an actor. He currently resides in the New York area. He is a member of SAG - AFTRA. 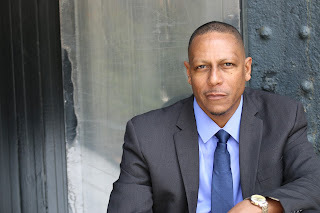 He has appeared in a number of Films and TV shows including NBC's DO NO HARM and TBS's THE LAST OG. He recurred on the webseries THE EDGE and recurred on the web series ARTISTICALLY CHALLENGED showing on instagram. He recently shot a co-star role on NBC's LAW AND ORDER, SVU and USA'S THE SINNER. Marvin has a gregarious personality, and love working with other creative professionals. That's why he is always working on a new project, or improving his craft by continually taking classes .